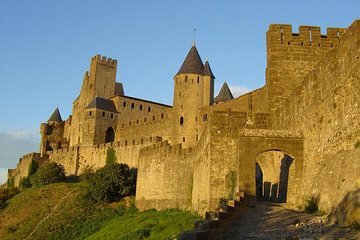 Explore Carcassonne on a two-hour walking tour. Leave the logistics hassle of driving to your driver, and delve into the city’s rich history on your guided tour starting with the medieval castle walls surrounding the old city. Learn about centuries of bloody history and battles for territory, and marvel at the long history of the Canal du Midi, a link to the Atlantic and the Mediterranean excavated in the 17th century. This tour is ideal for history buffs or anyone wanting to learn more about France's varied past.